The Whittier Clinic is the first healthcare facility in Minneapolis to achieve LEED® certification for new construction. A high efficiency Daikin McQuay Pathfinder chiller further reduces electrical energy usage and costs. In addition, the Pathfinder chiller uses HFC-134a refrigerant which has no ozone depletion potential. Whittier Clinic in Minneapolis was striving to achieve LEED® certification for new construction. A high efficiency Daikin McQuay Pathfinder® chiller further reduces electrical energy usage and costs. In addition, the Pathfinder chiller uses HFC-134a refrigerant which has no ozone depletion potential. From a former brownfield site to an award-winning community healthcare facility, the Whittier Clinic is a perfect example of how a community-centered design can heal not only patients but also a neighborhood. Clinic services include imaging, pharmacy, lab, occupational and physical therapy, sports medicine and physician-residency training for a culturally diverse community. Designed with direct input from patients and employees, the clinic is a showcase for sustainable design. More than 95% of the wood-based products used at Whittier were certified by the Forest Stewardship Council as derived from sustainably managed forests. The site layout includes garden space with native plants that need minimal irrigation, reducing water usage. Lighting sensors in waiting rooms activate light fixtures only when natural light is not sufficient, reducing electrical energy usage. 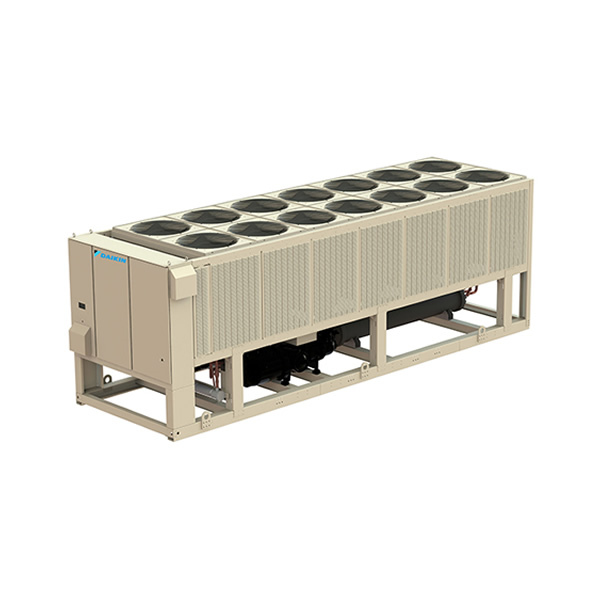 A high efficiency Daikin McQuay Pathfinder chiller further reduces electrical energy usage and costs. In addition, the Pathfinder chiller uses HFC-134a refrigerant which has no ozone depletion potential. Minneapolis to achieve LEED® certification for new construction. Whittier Clinic opened in October 2010. In summer 2011, the clinic was awarded LEED (Leadership in Energy and Environmental Design) certification at the Silver level by the U.S. Green Building Council. It is the first healthcare facility in Minneapolis to be awarded certification under LEED-NC (or LEED for New Construction) at any level.